The Ford lineup of SUVs is certainly impressive. With a number of large-body models available, it’s arguable that Ford is the new SUV leader. But among this fleet of versatile and capable vehicles, one model clearly stands out. The 2019 Ford Edge brings a whole new attitude to Ford’s flotilla of up-sized vehicles, and Mahwah Ford Sales & Service has the new Edge models in stock. Which New Ford Car is Right for You? Let Mahwah Ford Help You Decide! The Ford Motor Company has an impressive roster of new cars, and while they all deliver a rewarding experience on the road, each one has unique characteristics. That is why it is important for shoppers to compare models carefully before making their decision. Doing so will ensure that the vehicle you pick is ultimately the right fit for your lifestyle. To help Mahwah Ford customers out on their search, we have outlined the main difference between the three styles now available at our Ford dealership below. There isn’t a doubt that when thinking about new trucks to lease or finance, a new Ford pickup is one that you think of as an option. When you look at the engine choices and performance specifications, as well as the leading innovation that continuously gets crafted into the durable trucks, many opt for a new Ford truck so that you can have a reliable vehicle for working, commuting, and beyond. You can see why Ford trucks are superior by exploring our new Ford pickup inventory in Mahwah. At Mahwah Ford Sales & Service we take pride in helping our customers throughout the Mahwah area save big on their next used SUV. Our used SUV inventory includes plenty of options, regardless of what your budget looks like. Our goal is to easily and affordably help you find the perfect used SUV for your daily driving needs. Our used inventory is made up of a number of options, including SUVs of popular brands like Ford, Chevy, Nissan, Kia, Honda, Jeep, Dodge and Lincoln. Why Should You Consider A Used Ford SUV From Mahwah Ford? There are many reasons why buying a used vehicle is a good idea. From a lower price tag and less spent on taxes and registration fees to high-tech gadgets that make your vehicle longer lasting and a more intense inspection process that helps make sure your vehicle is good to go, used vehicles are more popular than ever. Whether you are in the market for a brand-new Ford or want to purchase a quality used vehicle, Mahwah Ford Sales & Service is the place to shop. Not only do we have many vehicles for you to choose from, but we also offer an on-site finance center and a service department that will treat your car with care. We would love to take the time to invite drivers from Ramsey, NJ to make the short drive to our dealership. We’re certain you won’t find our commitment to customer service anywhere else! One of the highlights of our vehicle lineup is the many different new Ford SUVs that are available in our showroom. There's an option for everyone among the new Ford lineup here in Mahwah, and when you stop in and discover it, we're confident you're going to find standout appeal. You can find the one that fits your needs from big to small, as we have the compact EcoSport, which provides you with a nimble and efficient option to drive while giving just the right amount of versatility. 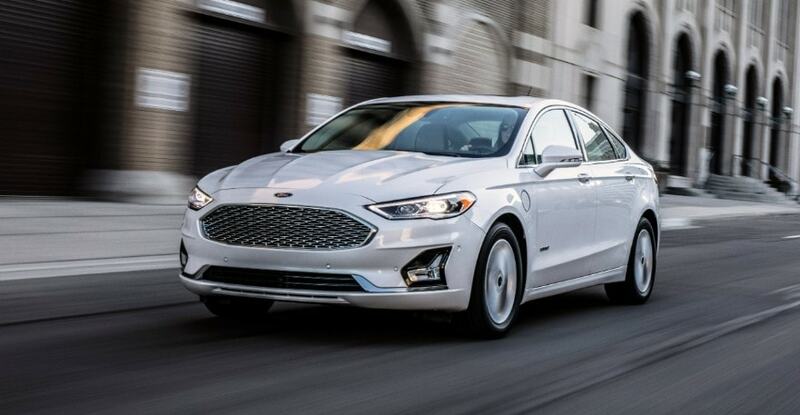 When it comes to finding a new sedan, it’s hard to compete with what’s offered by the 2019 Ford Fusion. The new 2019 Ford Fusion offers a diverse model lineup, ensure there’s a 2019 Ford Fusion for each of our drivers.